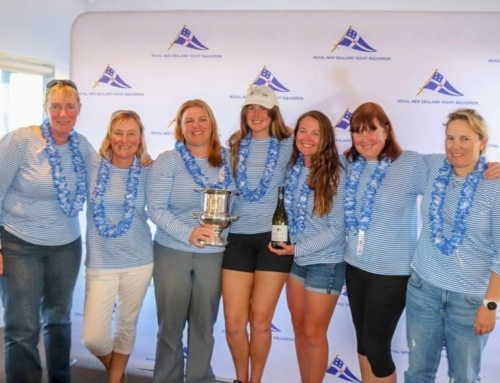 This is the event that all shorthanded sailors line up to compete in on an annual basis. 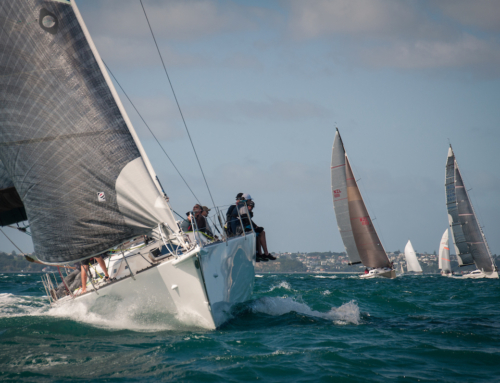 The Shorthanded Sailing Association of New Zealand’s Safety at Sea Triple Series. 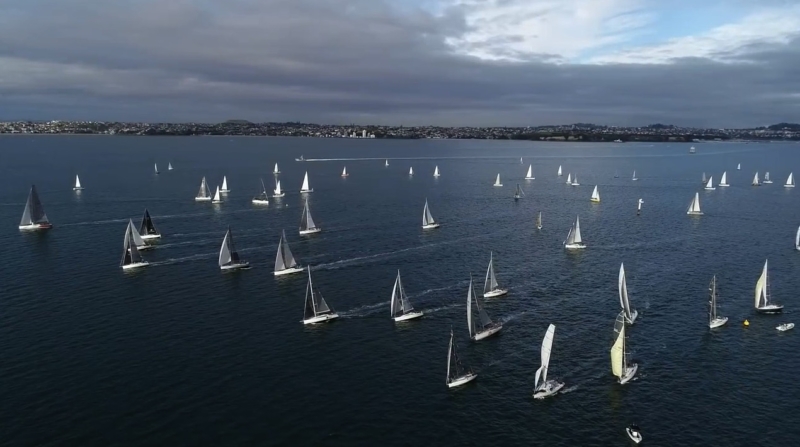 The series got off to a great start on Saturday 7thJuly with 112 boats hitting their respective start lines from 0900 hours off Northern Leading on Auckland’s Waitemata Harbour. The air was brisk, but the breeze was in enough to shoot the fleet through the Motuihe Channel and onto their respective courses. Nathan Laurie, the new owner of the Pied Piper “Party Piedy” hit the water for this first adventure as an owner/skipper for the SSANZ Safety at Sea Triple Series. “We’ve owned the boat now for about four months and only really done a few rum races, and we put the kite up when we went out cruising, but short of that this will be first blood for me sailing my own boat in the SSANZ,”said Laurie as he was motoring out to the start with crew mate Lanny Walker. “We have no expectations at all going into this race. We will work on our handicap a little bit and will hopefully come back strong for the last two races,”continued Laurie. 2018 SSANZ Race 1. Live Sail Die. The Pied Piper, nicknamed the “Piedy” was one of two one design divisions in the fleet. The Townson designed boat has had a resurgence of late with many of the old boats coming out of the wood work and hitting the race course again. Fleet captain Liam Dobson said that some of the die-hard owners are making a huge effort to re-build the fleet. “We have basically been contacting everyone we know who had or has a Piedy and are encouraging them to get back on the water. Having our own start and own division in this years Safety at Sea Triple Series has definitely helped,”said Dobson as he was preparing the Piedy, Puddleduck for the first race. “It was good to be out with the usual suspects like Truxton, Gale Force, Bizarre, Whitebait, Katana and some with new owners and drivers, new swords and new tricks,”said Garrett. “The weather was chilled champagne sailing. No rain and only a few key shifts. We had a pretty clear understanding from Expedition that the East Coast Bays side of the beat was favourite on the way to Navy Buoy, so stuck to our guns. “And right on cue, PredictWind PWE showed a flick to the west allowing us to tack on to the port lay line. Those to the right (east) looked good in the early beat but that a long knocked lay on starboard,”continued Garrett. “The reach from Gannet Rock was frustrating for us. No mast head kite and our old faithful was worst for ware! She has done two Round North Islands, one Round New Zealand and six SSANZ series! She narrowly avoided burial at sea by performing on the run,”said Garrett. 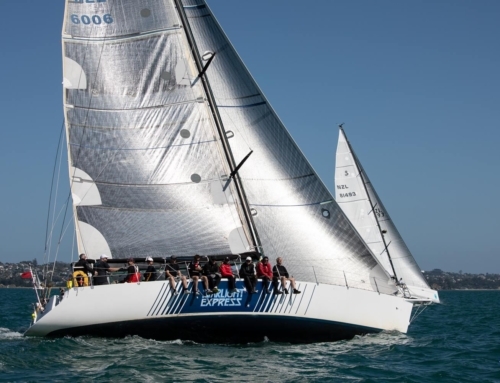 Expedition Coppelia won their NZ Rigging 2 Monohull division on PHRF by a mere 10 minutes with Spearhead (Elliot 1050) finishing second and Truxton (Tiller 35) third. All in all, it was a great first race to kick off the 2018 Safety at Sea Triple Series. The next race is scheduled for Saturday 4thAugust, with the final race of the series on Saturday 1stSeptember.